Earlier this week, Luke Plunkett celebrated the work of Atlus art director Shigenori Soejima, the man behind eye-catching style of the Persona series. He recommended Soejima's art book, available for shipping in 1-3 months from Amazon — just in time for the English release of Persona 4 Arena: Official Design Works from UDON. Let's take a peek inside. Atlus' Official Design Works series is a step above your average art book, a visual journey through the creation of dome of the most beloved role-playing games of the century. From concept art to cover art and everything in-between — character sketches, developer interviews, character bios. I've got the Persona 3 edition, and would love the Persona 4 version for my birthday next week, in case my relatives ever read my articles (they don't). And now Persona 4 Arena gets the same treatment, and I can't wait to wander through the creative process that birthed the fighting game offshoot of the Shin Megami Tensei side-series. I look forward to sighing wistfully at each of its 176 pages. Yes, even the ISBN info page. 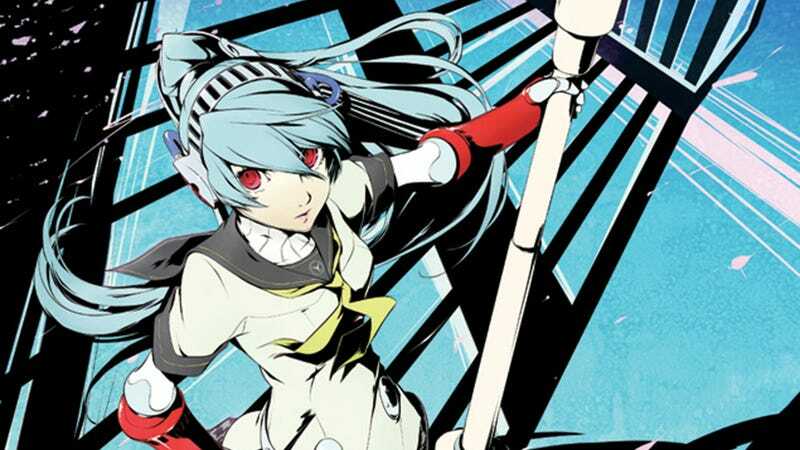 Persona 4 Arena: Official Design Works will be released in July. You can preorder it from Amazon right now. While we wait, check out the preview pages UDON passed along this morning (all images pending licensor approval).